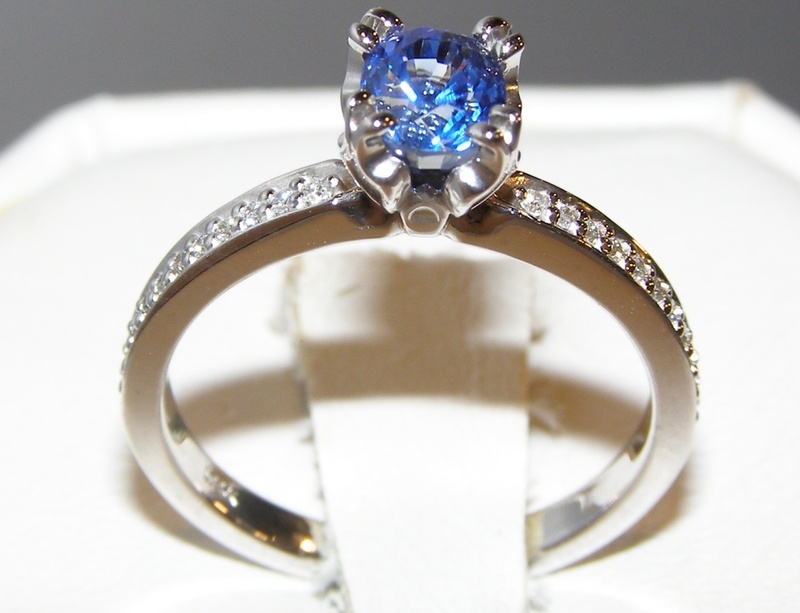 I love being able to offer a high quality sapphire diamond ring for under $2000. 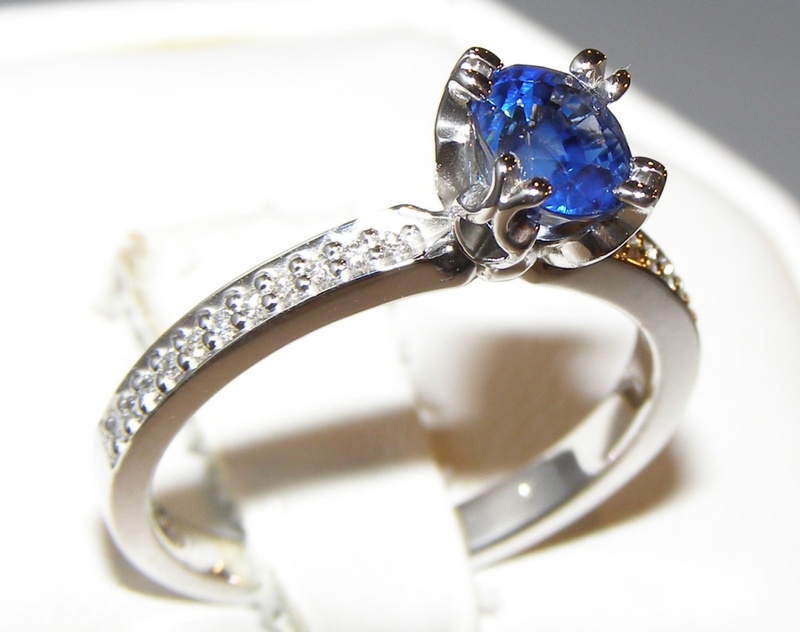 Showcased in this ring is a VERY high quality oval blue Ceylon sapphire that is certified by the Global Gem Testing Laboratory. 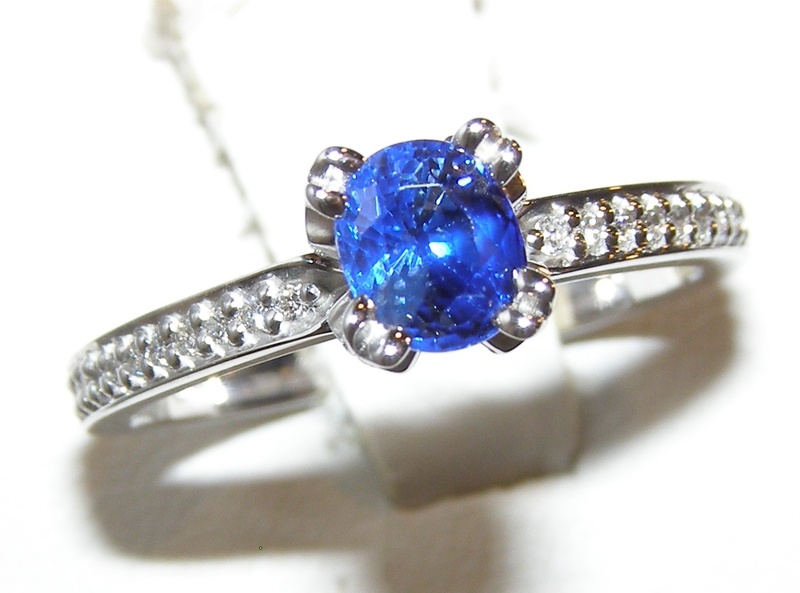 The sapphire weighs 1.06 carats, measures 5.71 X 4.74 X 4.47 mm and has simply breathtaking color. 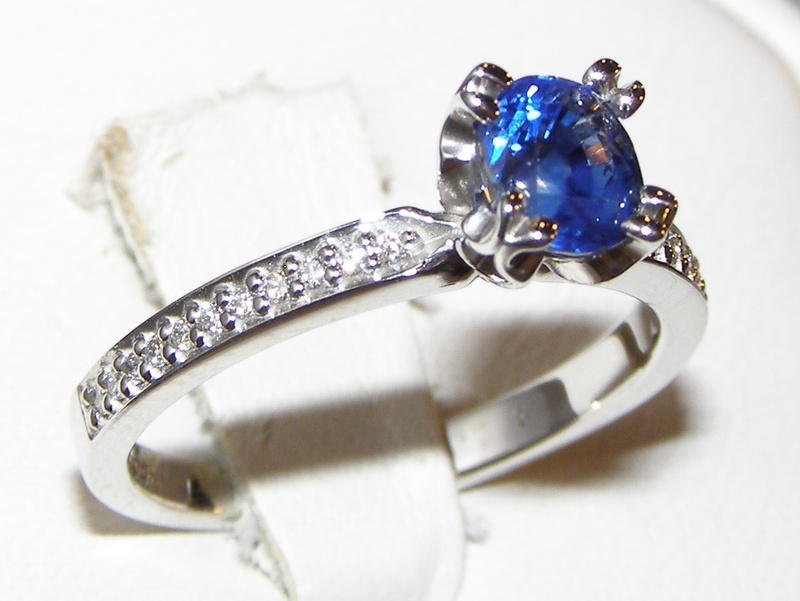 The color is best described as intense text book cornflower blue with ideal saturation. 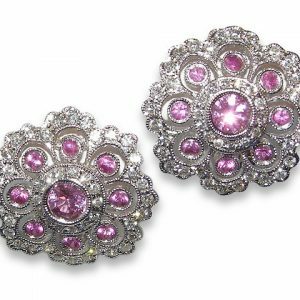 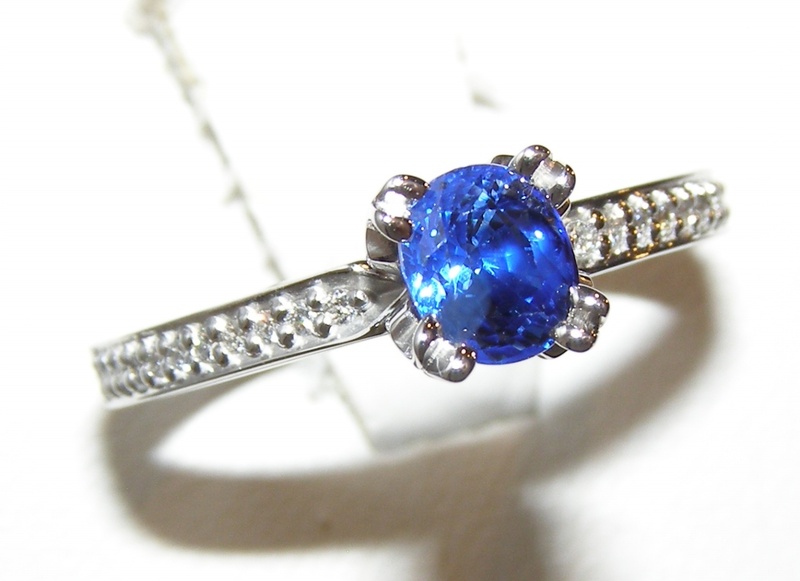 The color is primary blue with faint secondary purple hue which is highly desirable in sapphires. 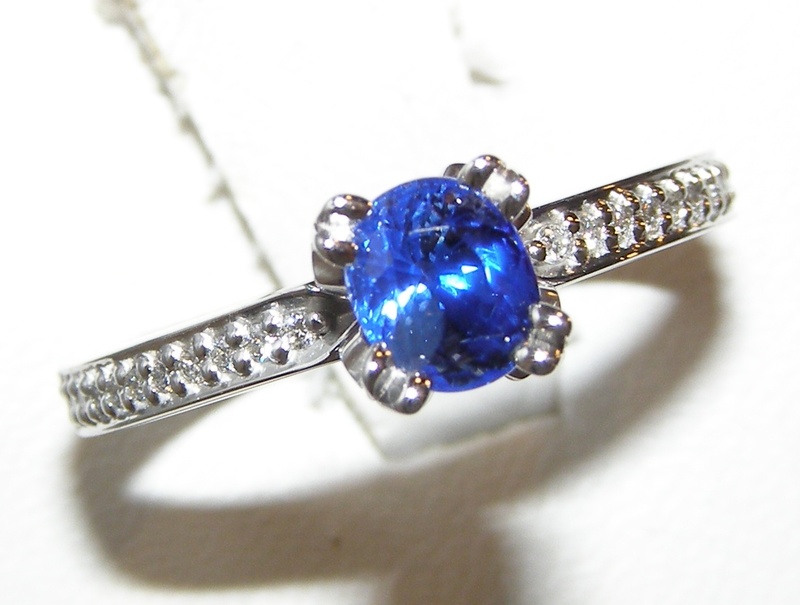 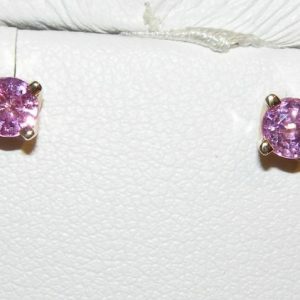 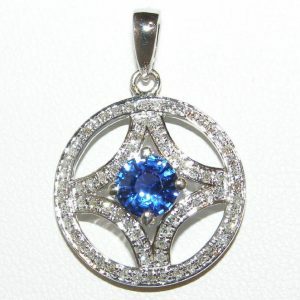 Double prong set the sapphire is in a traditional styled ring mounting that has 0.08 carats total diamond weight. 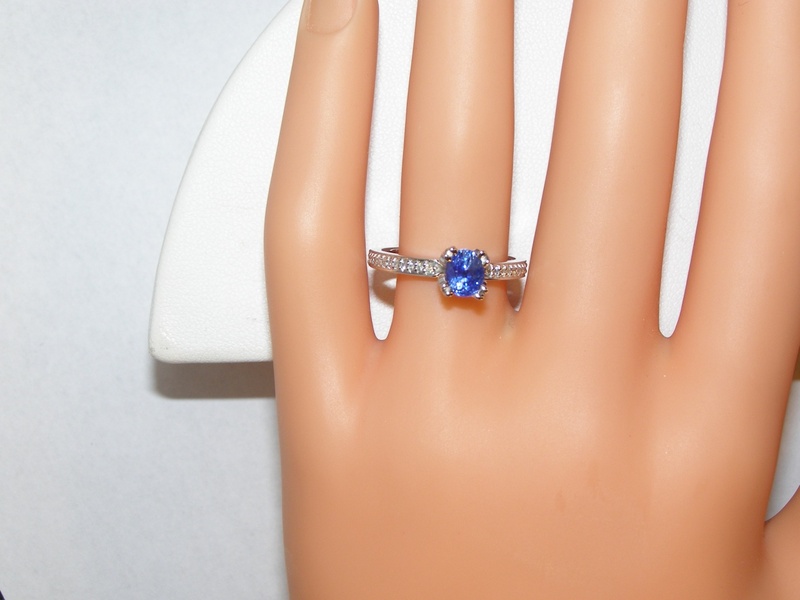 The diamonds are SI2 HI quality, the ring weighs 4.0 grams and is a size 7 (please indicate your size preference on the order form).